Blockbuster filmmaker CHOI Dong-hoon appears to have selected his next project, which will be a remake of the Hong Kong thriller Overheard (2009). CHOI is currently writing the screenplay, after buying the remake rights of the project with an eye to direct. He mentioned that the script is currently about 80% complete. 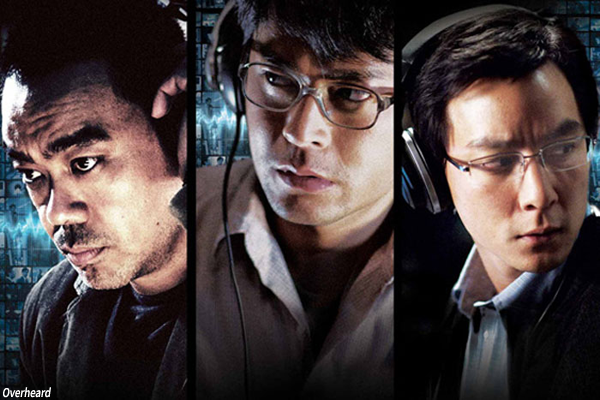 Released in 2009, Overheard is a popular HK film from directors Felix CHONG and SIU Fai Mak dealing the world of insider trading, which features local stars Louis KOO and LAU Ching-wan. Officers in a surveillance team begin to put their morals aside when they see an opportunity to make money on the stock market with insider knowledge. The film went on to spawn two sequels, released in 2011 and 2014. CHOI has the distinction of being one of only two Korean filmmakers to ever helm two films that went over the ten million viewer mark domestically. Those were the caper film The Thieves in 2012 and the Colonial Era spy action-thriller Assassination in 2015. Director CHOI revealed his plans during a Q&A session after a screening of Cape Fear at the Seoul Art Cinematheque earlier this month. At this stage, no actors have been named in connection with the project.